Every home needs a lawn. That’s been the conventional wisdom now since any of us were alive. It’s just accepted that a home must be surrounded by grass. Of course, this grass must be cared for so, in order to do that, we have to constantly be outside inspecting it. Are there vermin present? Are weeds growing? Should it be cut soon? Is it getting enough water? If we ask ourselves this question enough and consistently give the right answer, our reward will be a nice, healthy lawn. No matter how you dress it up, lawns cost a lot of time and money and return nothing but a short, green plant. Think about what you could do with all that time back. Imagine the difference it would make, in today’s economy, if you had extra money every month because you weren’t constantly running the sprinklers. This can be yours thanks to synthetic turf. International providers are sprouting up all over the map thanks to the current demand. 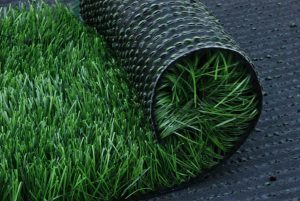 If you don’t know where to buy artificial grass, simply go online. Chances are, if there’s not a manufacturer in your area, there’s at least a company who can install it. Have the manufacturer send the artificial turf to them and the installation will take about a day or two. Then your lawn is installed and you can begin saving money.